My Baby Nest™ created the Original Wrapless Wrap! The Baby Nest™ Carrier is made of the finest cotton using only non-toxic dyes. There are no snaps, confusing buckles, padding, or straps to mess with…just two loops and a belt! The Baby Nest™ Carrier is the most comfortable baby carrier you and your baby will ever wear. The first Baby Nest™ Carrier was created in 2003 by Keren Levi after trying numerous slings and carriers, but finding none that was easy to wear or comfortable. Nothing gave her precious newborn baby the support and comfort she needed; very important in a busy pedestrian area like New York City. Keren created her own unique model incorporating all the features she desired in a baby carrier. This highly innovative design became a focus of attention causing her to be stopped on the street by complete strangers inquiring about it. Soon after, Keren began taking orders. Following 18 months of research and development, a fabric was custom made exclusively for My Baby Nest™ that had the strength, stretch, and comfort she sought. By enlisting the help of other Moms to test the prototype, and using the feedback she received, the Baby Nest™ Carrier we have today was born. With a successful web launch in 2004 and many sales through word of mouth, My Baby Nest™ spread into boutiques and maternity stores nationwide. 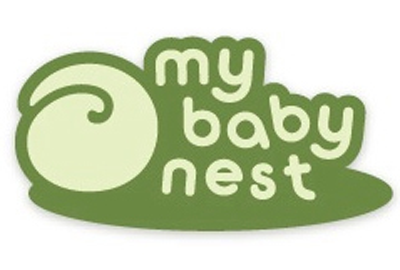 Only one year later, international sales took off and even more stores throughout the US added My Baby Nest™ to their shelves. Top tier stores were soon to follow and were proudly added to the list of retailers in 2007. In 2008, My Baby Nest™ was proud to be awarded the I-Media Parenting Award for Product Excellence. They also achieved Child Safety Certification in the US and Europe. Sales of the Baby Nest™ Carrier continue to soar to this day. My Baby Nest™ commitment to quality and the benefits of baby wearing are what drive them to bring this high quality Baby Nest™ Carrier to parents worldwide.